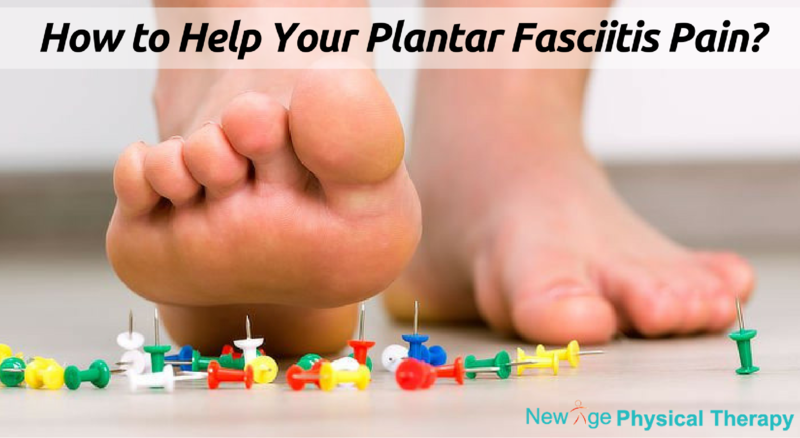 How to Help Your Plantar Fasciitis Pain? It is most common type of heel pain. Planter fasciitis is a painful inflammation of the fibrous band of connective tissue (plantar fascia) that runs along the bottom of the foot and connects the heel bone to the ball of the foot. It occurs commonly when planter fascia is being stressed. It is an overuse type of injury. It is common in middle age to older people. It is common with people whose work involve lot of standing, walking. Other foot/ankle conditions can aggrevate or can cause inflammation under heel. Pain associated with plantar fasciitis is usually felt at bottom of the heel and around the heel. It can be particularly prominent when you take your first steps getting out of bed, getting up after sitting for a while. It gets lesser as you walk around but it can again feel worst by end of the day. There are simple things which you can do at home before you call your doctor or therapist which can help you. Iceing bottom of the heel in this condition can really help to reduce pain. Patient can ice once or twice a day for about 15 min. There are different way you can Ice for your heel pain either use regular ice pack or you can freeze water bottle and role it under your heel. It is very important to pay attention to your footwear in this condition. If you are wearing flat shoe, footwear or walk barefoot in the house it can really aggrevate your pain. So it is very important that you wear proper footwear all the time. You can also try over the counter insoles which can help some patients. Running sneakers or shoe with little heel can help you to avoid pressure under heel. Most of the people who develop planter fasciitis have tightness across their calf muscles. Patient should try to stretch their calf muscles regularly once start feeling pain or discomfort under their heel. All these home remedy fails to relieve your pain you should consult your doctor or expert physical therapist at Physical Therapy Flushing, NY. Your primary care physician may refer you to an orthopedic or podiatrist. Doctor can give you anti-inflammatory pills, shot of cortisone and may advise you to start physical therapy. Physical therapist may work with you to reduce pain and improve your mobility by using appropriate modalities and therapeutic exercises.